More and more pet owners are learning how critical pet dental care is to keeping their pets healthy. This isn’t just about smelly breath: approximately 85% of pets over four years suffer from periodontal disease. This dangerous disease destroys the teeth and gums, causing intense pain and infection. The bacteria travels through the bloodstream and can do damage to the heart, lungs, kidneys, liver, and even the nervous system! 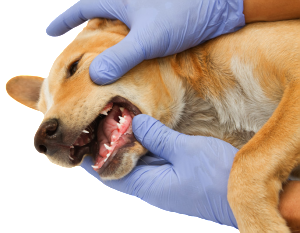 If your pet’s teeth have been neglected, it is time to call Asher Road Animal Hospital for pet dental care in Kelowna. Without regular brushing, the daily accumulation of plaque from bacteria, saliva, and food, accumulates on the teeth and leads to periodontal disease. You can easily remove plaque buildup from your pet’s teeth by brushing them on a daily basis. Without brushing, however, plaque will harden into tartar and calculus, attracting more bacteria. Gingivitis starts when this bacteria attacks the gums, causing them to get red, tender and swollen. The bacteria will then multiply in the pockets where the gums are inflamed. They eventually attack the inner structures of the teeth, which is very painful, and results in tooth loss. 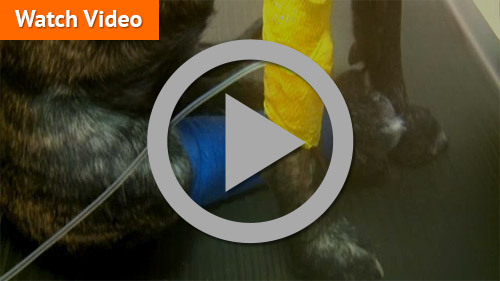 When you check your pet’s mouth, are the gums red and bleeding? Does their breath smell? Are there any teeth loose? Does your pet drool excessively? Have difficulty at mealtimes? If so, make a dental appointment Asher Road Animal Hospital today. 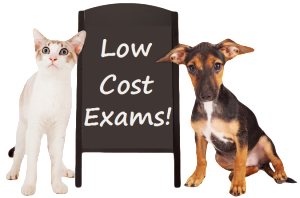 At your pet’s first dental appointment with our veterinarian, we will run tests to evaluate your pet’s health before administering anesthesia. During every dental procedure, we provide continuous monitoring for any problems with your pet. We thoroughly remove tartar buildup and fill or pull teeth, depending on how extensive the damage is. Very severe dental bone damage will need special attention. After we complete your pet’s cleaning, our veterinary team will show you the proper way to clean the teeth on your own. When you get home, it is very important to establish a daily dental hygiene routine with your pet. It may be difficult in the beginning, but your persistence will pay off. You can start by dipping your finger in some broth and letting your pet lick it. Then attempt to rub it on the gums. After your pet is used to your fingers being in their mouth, you can start using a toothbrush with toothpaste especially formulated for pets. It is very important NOT to use human toothpaste. There are many fun ways to help keep your pet’s teeth clean, including special sprays, water bowl additives, and treats. Remember, pets need a veterinary dental check up every 6 to 18 months. If your pet has never had one, and you are looking for a veterinarian offering pet dental care in Kelowna and the surrounding BC areas, please call us at 778-753-3507 to schedule this important appointment for your pet’s overall health!